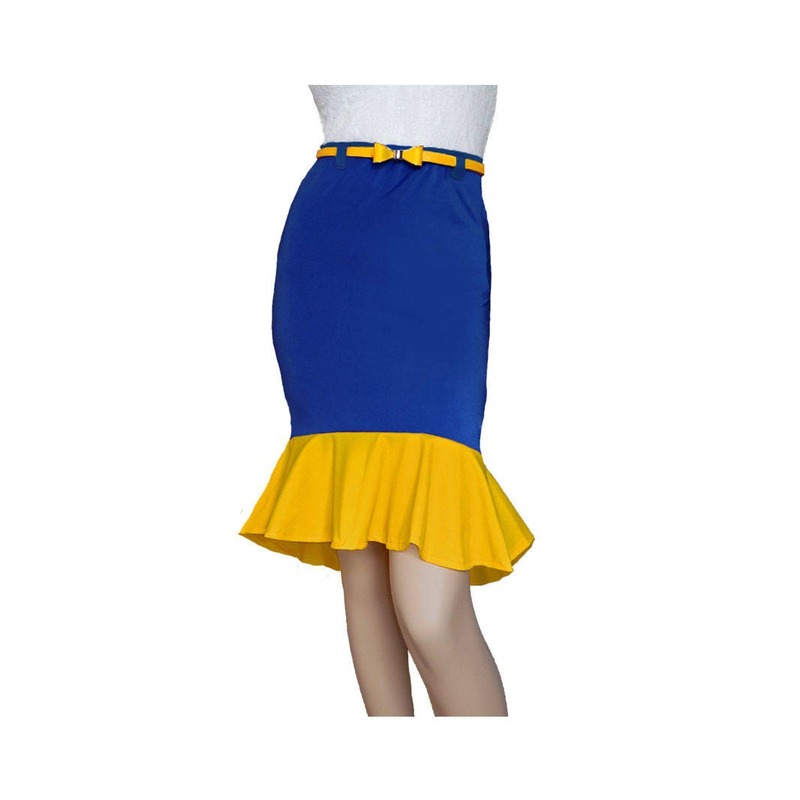 Make a splash on game day in this fun royal blue or navy Mermaid Skirt with yellow trumpet ruffle. Poly-spandex blend. Includes yellow brass bow belt.